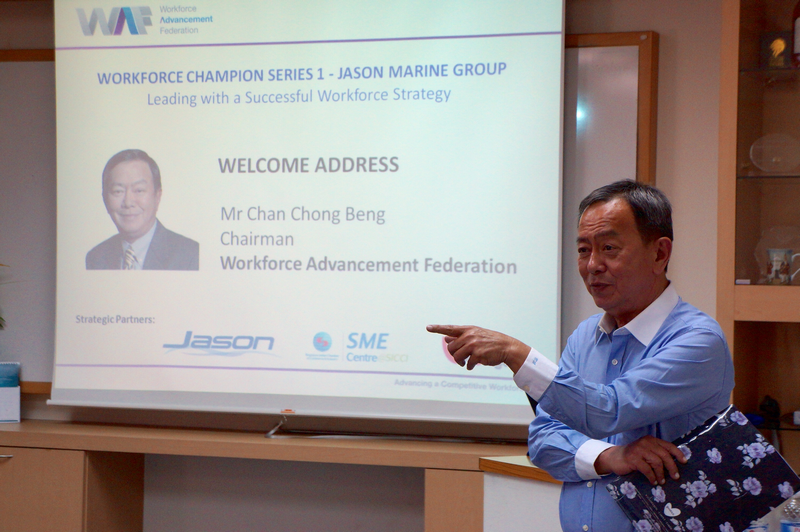 The Federation held its inaugural Workforce Champion Series on Monday, 29 June 2015. These half-day CEO engagement sessions aims to create an interactive and informal learning journeys to engage Workforce Champions and Business Leaders through an environment of group sharing on Human Resource (HR) best practices supporting workforce capabilities development in enterprises. Partnering Jason Marine Group for this inaugural session, the event was held within the premises of the Group’s office located at Pantech Business Hub. 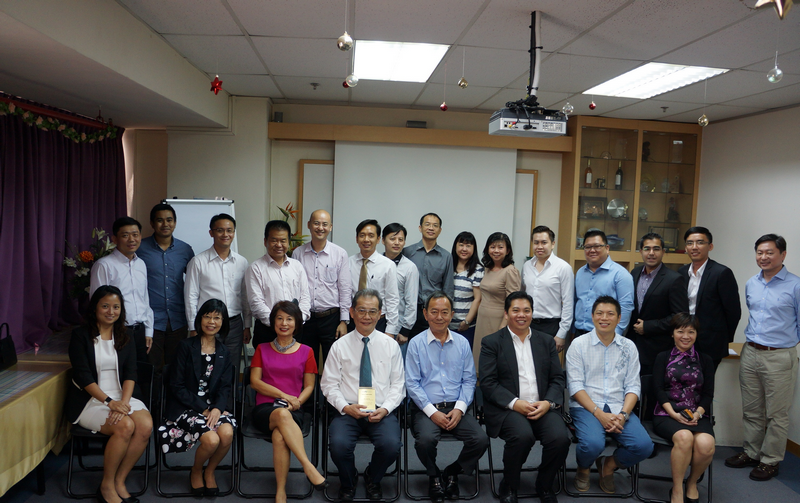 More 20 business leaders have gathered and participated in the candid and open session to exchange ideas on various HR hurdles and how best to overcome them. 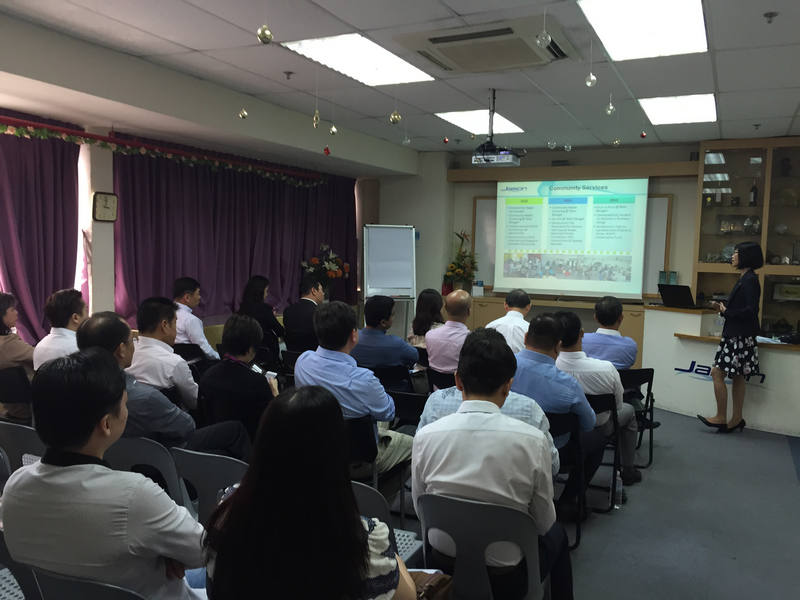 It was a great privilege to have invited Jason Marine Group to host this inaugural session. 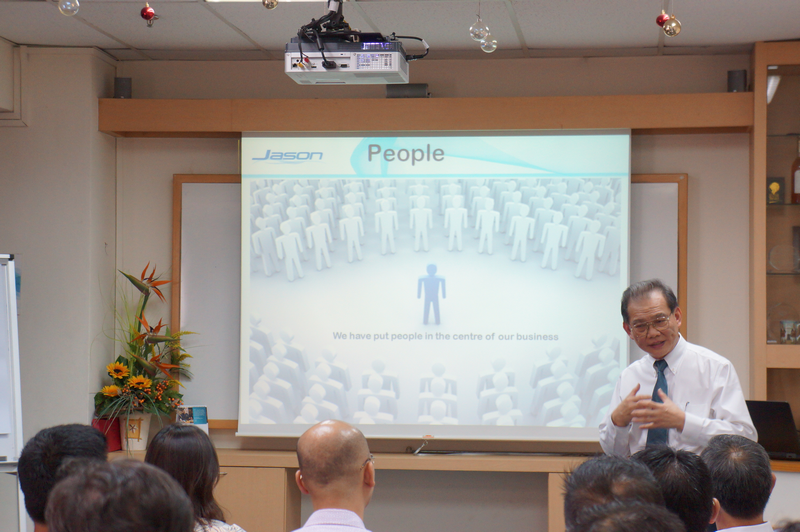 Being in the business for close to 40 years and having grown to manage over 300 employees regionally, attending business leaders were all eager to hear from Mr Joseph Foo, Founder and Executive Chairman of Jason Marine Group on his journey to shape a productive and committed workforce for his business. In line with the theme of this session, SME Centre@Singapore Indian Chamber of Commerce & Industry had supported the federation in sharing a customised presentation on key HR related government assistance schemes for capability development of the local workforce. Business advisors from the centre were present during the session to address queries relating to the assistance schemes. We all have an idea that manpower is important but how do we go about dealing with manpower? How do we truly make our business a ‘People Business’? As business owners, they understand the need to cater to their clients’ needs and wants. It is important to differentiate themselves to establish a competitive edge. It is no surprise then that when it comes to a ‘People Business’, the same principle should apply. 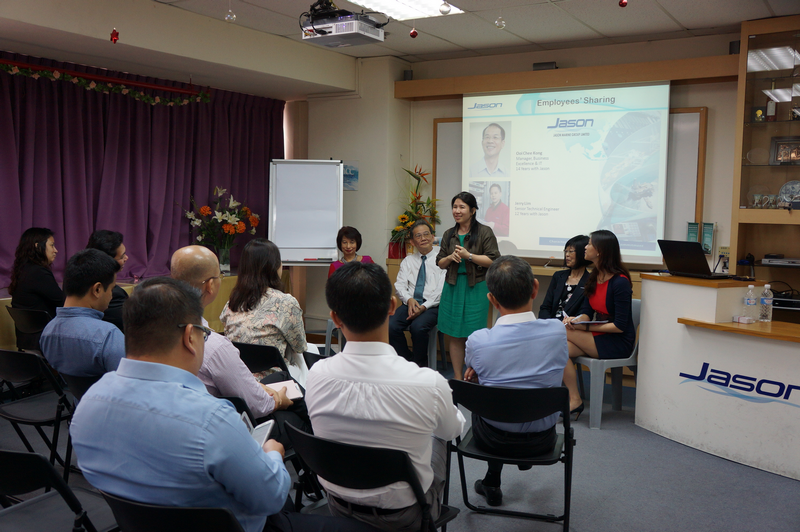 Besides having strong HR policies where employees were rewarded fairly and career paths were well looked after, a unique factor that kept Jason Marine Group’s people with them for the long haul was their open mindedness in customising HR policies to suit their employees’ needs. 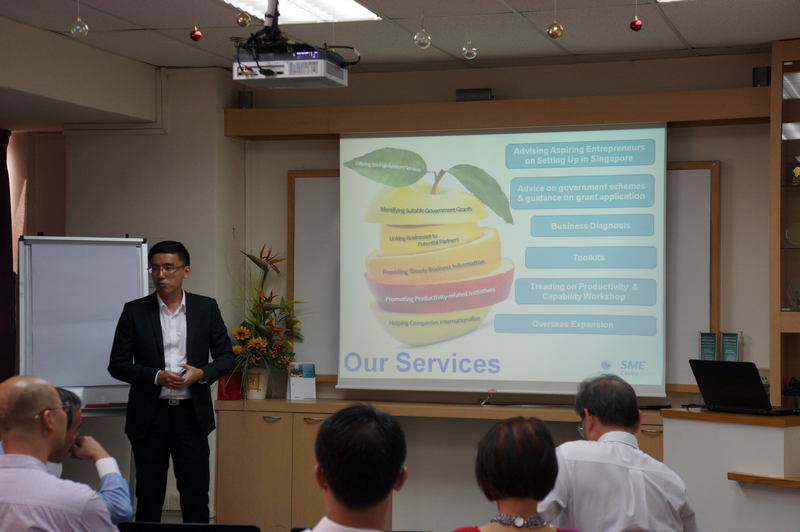 A case example shared was Ms Lily Kok, HR Officer who has been with the company for close to 12 years. She joined at a time where she had multiple family commitments. This meant that it was hard for her to clock in standard work hours and flexible work hours were then unheard of at that time. However, instead of viewing the regular clocking of work hours as a measure of her capabilities, Jason Marine Group only saw her as an asset. Thinking ahead, Jason Marine Group offered to keep her on her job by providing a package that offered her flexible work arrangements. It was a case of innovating and customising the HR policies to employee’s need which few companies were comfortable with back then. After all, what is eight unproductive hours compared to four productive ones? Putting himself in his employees’ shoes was one of the fundamentals Mr Foo talked about and had been advocating. What motivates them? What keeps them happy? 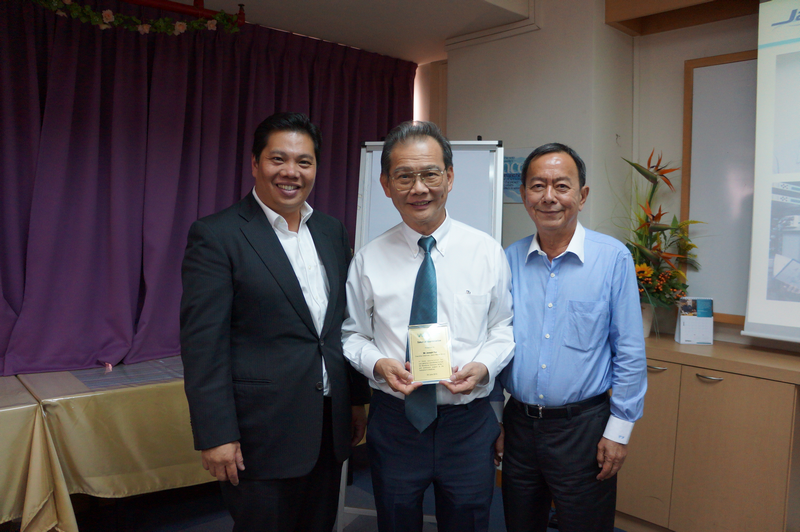 And one of the reasons many have stayed and grew with the organisation was how personable the organisation was. It was never just an employer-employee relationship but a big family. Thoughts were put into simple things that many took for granted such as one another’s birthdays. To show that each employee is remembered, birthday cards are personally signed by the superiors and sent to employees on their birthdays each year. 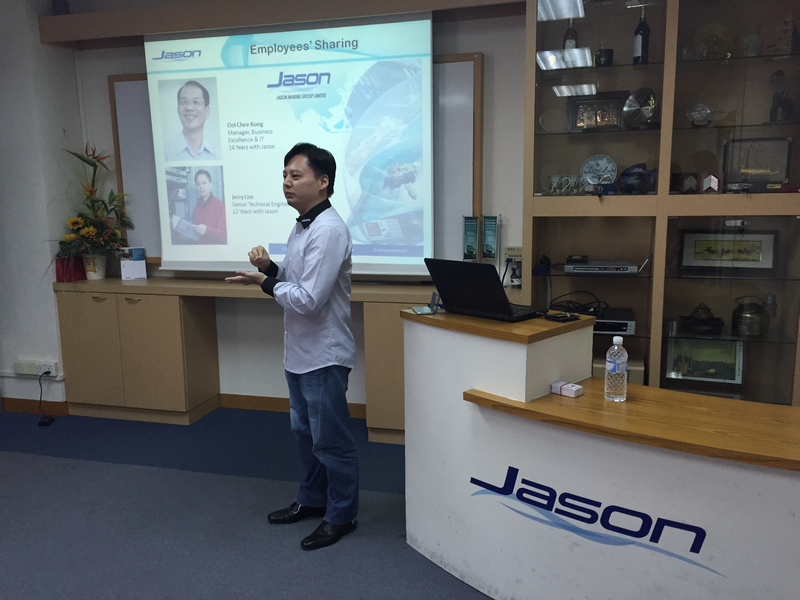 By showing that they were not just salaried employees, Jason Marine Group has achieved a heart line with its people and gave them a reason to want to stay on with the organisation. In early 2012, the Group rolled out new HR initiatives to champion personal growth and development, in order to attract and retain talented staff. Being an interconnected organisation, the Group clearly communicated its focuses on Organic Growth and Promotion then. It meant that everyone was aware they had equal opportunities and that the organisation was genuinely concerned about their development and progress. The constant appetite to learning then became an organisational culture well embedded in the minds of all employees. Managers built strong relationships with their team; team members were exposed to different responsibilities and it was a space where they could develop themselves to their fullest potential. The Group soon developed teams that were united in moving together towards a common goal and this gave employees a sense of belonging, motivating them to perform their very best. In a nutshell, a People Business will be a long and continuous journey but ultimately a fruitful one.